This Sunday, December 30, when Bangladesh votes in the general elections, there will be many in India closely following the democratic process in South Asia’s youngest country. Elections in Bangladesh, a country India helped attain freedom from Pakistan, have always had a bearing on Dhaka’s ties with New Delhi. More so this time around. Bangladesh’s political narrative has always revolved around the two big parties—the ruling Awami League of Prime Minister Sheikh Hasina and the Bangladesh National Party (BNP) of jailed leader Khaleda Zia. The two bitter ­rivals have alternately ruled the cou­ntry for decades, with New Delhi seeing Hasina as a friend compared to the more orthodox Zia. Zia was handed an additional seven-year sentence for graft on October 29, and on December 3 the country’s election watchdog barred her from contesting the polls. Her son and political heir, Tarique Rahman, is also living in exile in London after being sentenced for life. The BNP appears leaderless but not incapable of springing a surprise. The newly-floated opposition alliance—the Jatiya Oikya Manch or national united front—jumping into the fray has added another dimension to the polls. Led by Kamal Hossain, the country’s first finance minister, this front includes the BNP. Delhi, which is keen to see ‘free and fair elections’ in Bangladesh, would take heart from the fact that Hossain is largely seen as secular, unlike the BNP or its radical ally, Jamaat-e-Islami, which has fielded candidates in 25 of the 300 first-past-the-post constituencies as part of the opposition front. The cause of worry for the two neighbours is that the Jamaat, allegedly with deep roots in Pakistan—an allegation it denies—is contesting in constituencies bordering West Bengal on the BNP symbol. Most leaders of the Jamaat have been convicted by specially established courts, sometimes controversially, of crimes committed during the 1971 civil war, with some being executed. In 2013, the Bangladesh Election Commission cancelled its registration, barring it from contesting general elections. This forced the Jamaat to field candidates under the BNP symbol. The Sheikh Hasina regime, too, has had its share of criticism. Critics say that even with all its hard-earned liberal credentials and reputation of being a bulwark against Islamic radicalism, the party has taken a hit due to Hasina’s alliance with Hefatzat-e-Islam (Protector of Islam), a radical non-political force—a move to keep radical Muslim votes divided. The Hasina government has failed to protect minorities, secular writers and bloggers, who have regularly been attacked by Islamists. Her regime’s stranglehold on the media and forced disappearances of dissidents have earned criticism, both at home and abroad. Despite the negatives, New Delhi would still prefer Hasina’s return given her heavy pro-India tilt. Over the last decade, Delhi has invested heavily in building strong relations with Dhaka; barring the Teesta water sharing pact, most pending issues have been sorted out. 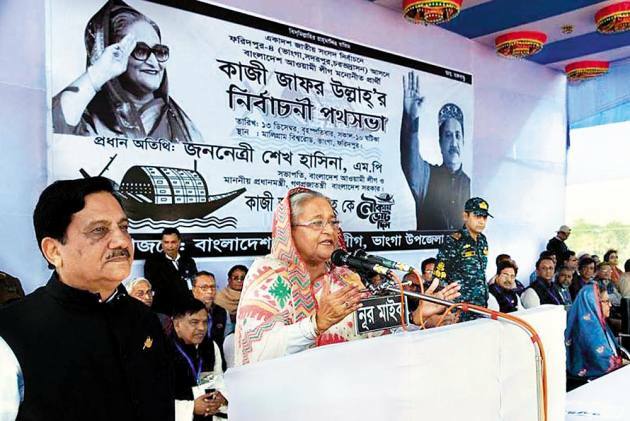 Since 2008, Sheikh Hasina has managed to uproot anti-India terror modules within Bangla­desh, and helped reduce insurgency in India’s northeastern states. A decade on, security agencies of the two nations have been engaged in real-time intelligence sharing, helping the neighbours effectively combat terrorism. Analysts attribute the hectic diplomatic activity to the China factor. Delhi, to its credit, managed to breach China’s grip over the Bangladesh Army last year by entering into its first-ever defence deal. Till 2017, China was the largest supplier of military hardware to Bangladesh. Of late, the significance of Indian diplomacy, ana­lysts say, has had to do with China’s Belt and Road Initiative, a project which Beijing has been busy trying to persuade nations in Asia to accept as a guarantee of economic cooperation with China and resultant affluence for local populations. India fears the BNP’s return to power would push Bangladesh once again into China’s welcoming arms. Such a scenario would push back Delhi-Dhaka ties by years. It would also mean growing Islamic radicalism next door. 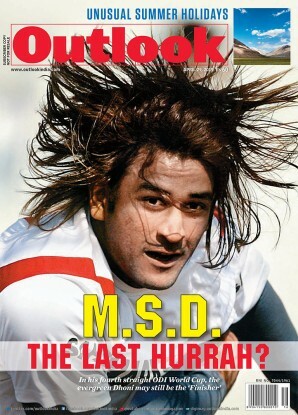 India will be tuned into Bangladesh on Sunday for sure. Bangladesh’s Parliament, the Jatiya Sangsad, has 350 seats, with 300 decided by first-past-the-post voting. The remaining 50 seats will be allocated proportionately to women candidates based on their respective parties’ vote share. Although part of the ‘Grand Alliance’, the ruling Awami League won 234 seats by ­itself in 2014, a massive majority.